There’s really no need to say anything, darlings; I’m already quite well aware of the fact that Las Vegas, Nevada seems an unlikely place to visit when cruising cafes is on the agenda. As the self-professed “Entertainment capitol of the world,” and the bearer of bright lights, the cha-ching of slot machines, and an abundance of casino resorts it seems anything but quaint. But perhaps it is precisely those very things which are indicative of the childlike charm lurking beneath Las Vegas’ flashy façade. Like the topsy turvy adventures which plagued the tow-headed Alice once she tumbled down the Rabbit’s Hole; nestled down dingy back roads, mere footsteps away from the strip, and right alongside fine dining restaurants, Las Vegas harbors a multitude of mystifying locations intent on whipping up frothy, caffeinated confections with a side of enchanting charisma that will undoubtedly cast a spell upon you in no time at all! ♥Sunrise Coffee Co. Relaxation may not be a delicacy offered on the menu, but from the moment you stroll inside the double doors of Sunrise Coffee Co., it is as if every care, worry, or contemplation that has left your mind a muddled mess for the past week vacates your body, leaving you with a clear head and a craving to curl up in a cushy chair with a soy chai-latte and toil the afternoon away. Far from touristy, it is evident that the low key ambiance of Sunrise is both friendly and locally-based simply by observing the good-natured banter between baristas and repeat customers alike. Friendly smiles trim the comfortable environment which is laced with shimmering parquet floors and speckled with hardwood tables topped with bouquets of fresh-cut flowers. On the walls hangs work created by local artists; in the bakery display cases sits locally-made delicacies; and from the hidden speakers floats unique melodies. But the true showpiece of Sunrise, aside from the spacious patio situated outside, is the oversized bookshelf offering visitors everything from textbooks to guides devoted to video game strategies – an eclectic mix you can’t resist. Order a biscotti to accompany your espresso…you’re going to be here for awhile. 3130 E. Sunset Rd., Suite A, Las Vegas, NV 89120. ♥reJAVAnate reJAVAnate is the coffee shop you no longer thought existed. Tucked between, of all things, a Blockbuster Video and Food 4 Less, reJAVAnate embraces the grassroots way of life, getting back to the very things that made coffee shops popular so many years ago; whilst still maintaining cutting edge characteristics – a juxtaposition between two eras that help one to appreciate the simpler things in life without having to forgo modern conveniences, such as technology. During the daylight hours, the computers lining the walls of reJAVAnate, serving up free WiFi to patrons, are full of young entrepreneurs, students, and bloggers, all taking advantage of the laidback, quiet ambiance, perfect for studying or simply sipping a macchiato as you lean your head back and get lost in the music blaring from your iPod. Once night falls, however, there is a throwback to days of yore. Some evenings cater to the noir of the 1950s, offering poetry readings, open-mic nights, and jazz tunes; others are more haut monde, featuring live local bands and charity events. Pop in bright and early to check your e-mail over a morning mocha; or unwind in one of the cozy chairs after dinner with a hot chocolate and Kringle filled with strawberry cream, marzipan, or apple cinnamon – your sweet tooth won’t be sorry! 330 E. Flamingo Rd., Las Vegas, NV 89121. Which of these Las Vegas cafes would you like to cruise? Thanks to Tumblr for the pictures. I have never been to Las Vegas, but when I do I will make sure to keep these in mind! Thanks for the post! If I'm in Vegas, either one sounds just like what I would need! It's been a long time since I've been there! I adore that first photo! Happy Monday morning to you! Mmmmm, your posts always make me want coffee so badly! Unfortunately, the closest thing to a cute coffeeshop on campus is a Starbucks. Okay, time for a skinny vanilla latte. As you said, LV is definitely not the first place I'd associate with faint coffee shops, but I'm glad you posted these, so I now know where to head to when I'm in town next! The special evenings organized at reJAVAnate is such a fantastic idea! my best friend always has her bday parties in vegas so I'll write these down for the next trip!! i'll be in Vegas this weekend! cant wait! I need to go back to Vegas asap to check all of these spots out! Carrie... I'll meet you there... Thos places look cool. Love the name reJAVAnate! Okay, now you've given me even more reasons to visit vegas! I can't believe I've never been! These pictures always make me smile. Heart shaped marshmallows are always welcomed in my belly! I have surprisingly never been to Vegas but when I do I'll try to stop by all these places. I've got to ask---are you going to see the new Alice movie? These features make me want to hop in my car and take a road trip! I really want to go to Vegas one day! The whole city looks fantastic. I like the sound of Sunshine Coffee Co. It sounds like such a fun place. I love that you posted a Crusin Cafe in Las Vegas, it's my second town I visit 3-6 times a year. I also like to go off the strip so reJAVAnate sounds great after a late night partying. I hate touristy places so Sunrise is my choice. And from your description, the place fits my requirement for old world charm. Never been to Las Vegas, but ReJavaNate sounds like one could have a really good time there. I've actually been thinking of going to Vegas for my 30th birthday, so YAY for this! This is fabulous and your timing couldn't be more perfect because I'm planning a birthday girls get-away to vegas very soon with my besties. Sunrise Cafe it is! Hope you're having a wonderful Monday! So cute pictures Ericka ! Yes Ma'am! This sounds fab as always, and yes I'm sure you can find wonderful places to get away in Vegas...the problem after you LEAVE your getaway you're once again bombarded with the lights and sounds of Vegas...Cue the bubble to be popped. Can't wait to visit myself, I will def check out these cafe's while I'm there! They both sound delightful. I would want to try both because I love coffee and well, chocolate & what ever comes with coffee shops. How cool, to note these two unlikely spots in Vegas. Just found your blog girly and absolutely love it!!! I adore vegas! Wonderful as always! Good lord I have fallen behind. Let me just say, no there is to much... let me sum up: fantastic collection of words, sentences, and themes with complimentary shots! I do wish I could go on tour with you. I'll draw while you sample the selection ;). Oooh reJAVAnate sounds delish. Strawberry cream kringle sounds so yummy! and i've never been to las vegas, but when i go to new cities my favorite places to go are coffee shops. they really give you a taste of the surrounding vibe and culture. My dad used to live in LV and one of my best friends moved there...definitely time for a visit! 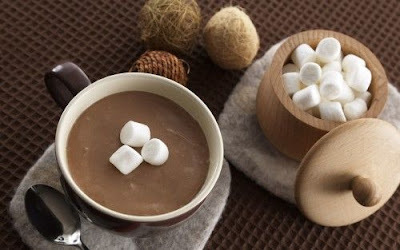 this makes me crave a hot chocolate yum. and you know what i love about vegas is their thrift stores. any time i go there i scour them. you can find some real goodies! If only I lived in Vegas. So many goodies! Thank you for your lovely compliments. Very sweet of you to say. Even tho i'm a tea boy, Cofee still has its good features. If i was in Vegas i'd def cruise.. I love Las Vegas too! It's so not sin city ... it's shopping mecca! OMG i need one of those hot chocolates! this is looking so absolutely YUMMY ahh. i need a nice cup o latte today. 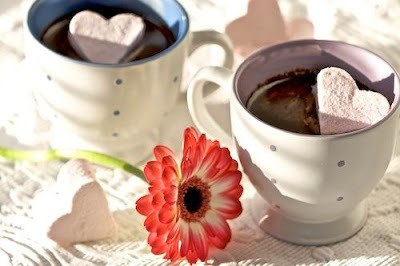 and hot chocolate with marsmellows.. aaaa. thanks for your ever so loving comments.makes me so happy. lol I think I found the only reason that I will ever visit Las Vegas. jk, the cafe sounds great! I love the images you post, they are adorable! The hubs and I have been talking about wanting to plan a Vegas vacay! I never would have thought to bring along java ideas...but Mama still needs her coffee! Awesome post! 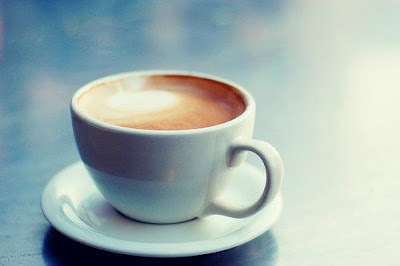 I very much love your posts about Coffee... sigh... heaven! reJAVAnate sounds like such a fun place to be at night! Great post! I am planning a trip to Las Vegas in September for my sister's birthday. Being the New Yorker that I am, I totally appreciate a good cafe. Definitely plan on visiting reJAVAnate!